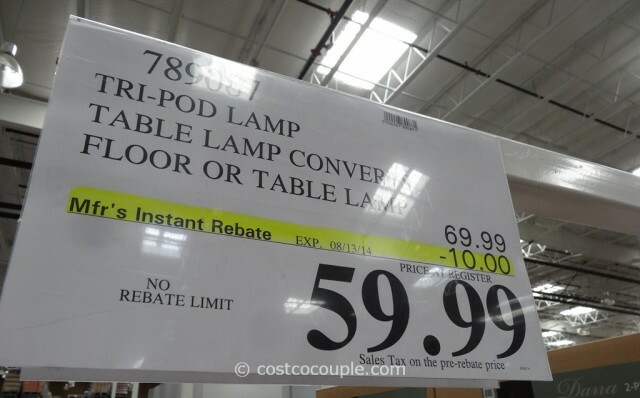 UPDATE 08/25/14: The $10 instant rebate is still available. 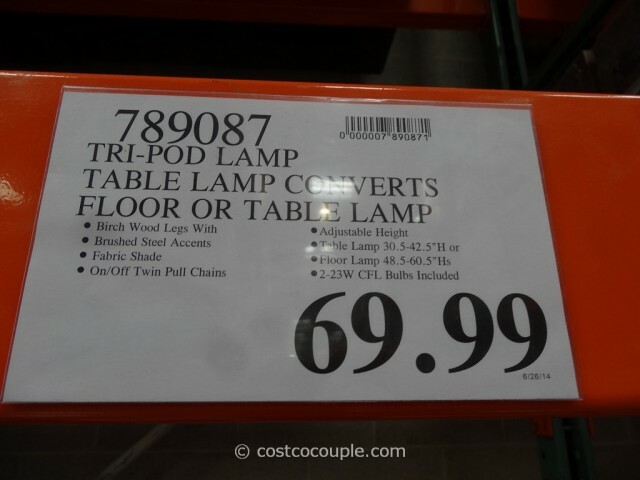 Price for the Bridgeport Designs Tripod Floor Table Lamp is $59.99 till 09/02/14. 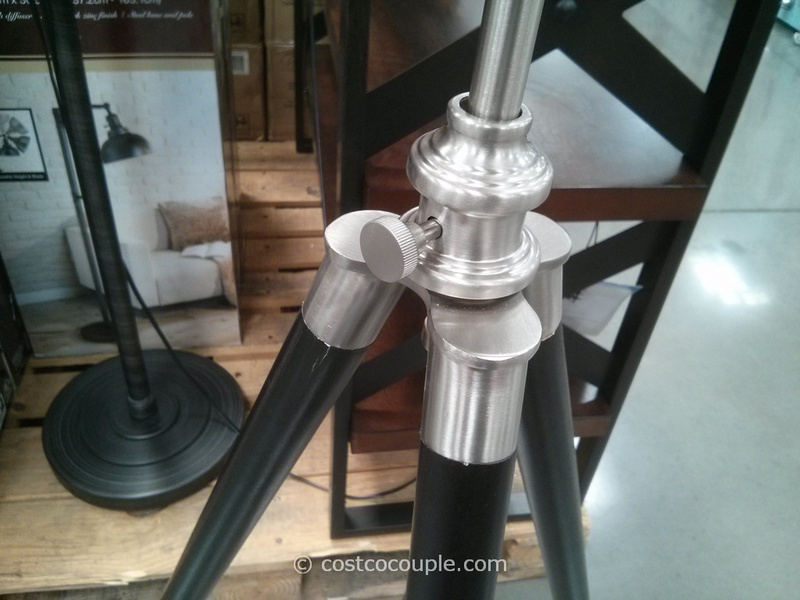 UPDATE 08/09/14: Spotted a $10 instant rebate for the Bridgeport Designs Tripod Floor Table Lamp. 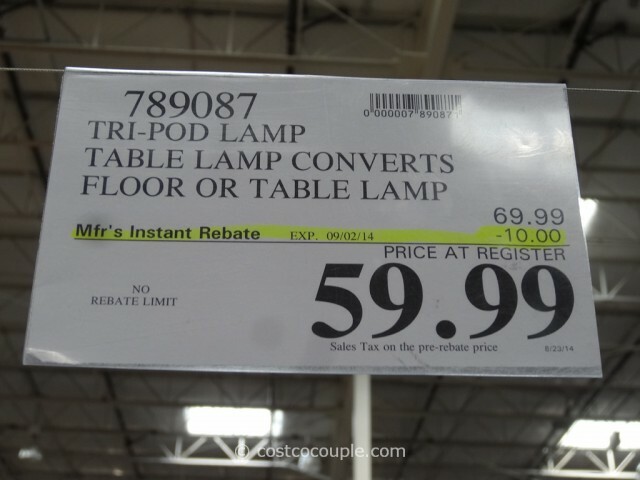 Price is $59.99 till 08/13/14. 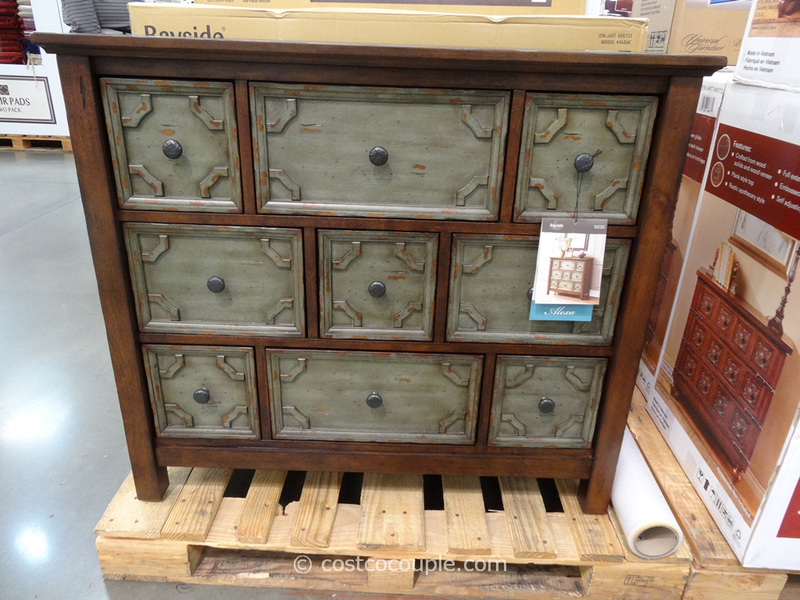 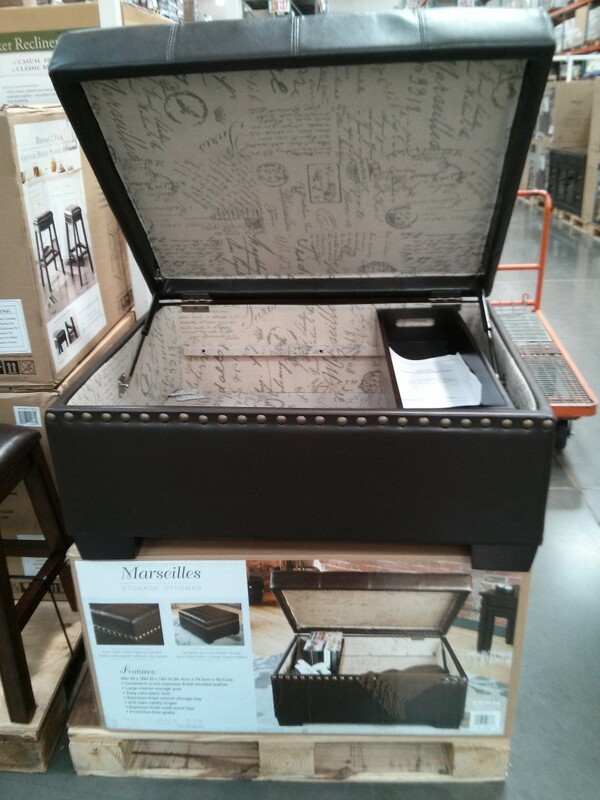 PUBLISHED 07/14/14: Can’t decide whether you should spend your money on a table or floor lamp? 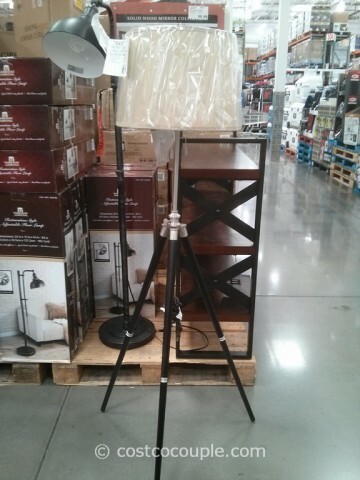 Why not get one that can transform from one to the other, like this Bridgeport Designs Tripod Floor Table Lamp? 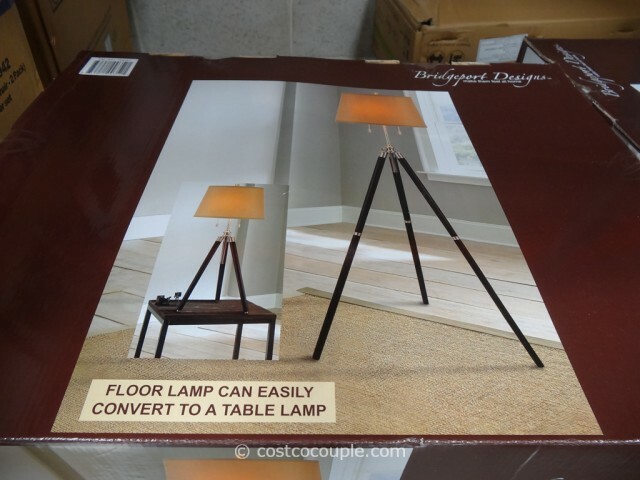 You can convert this lamp from a table to floor lamp and vice versa. 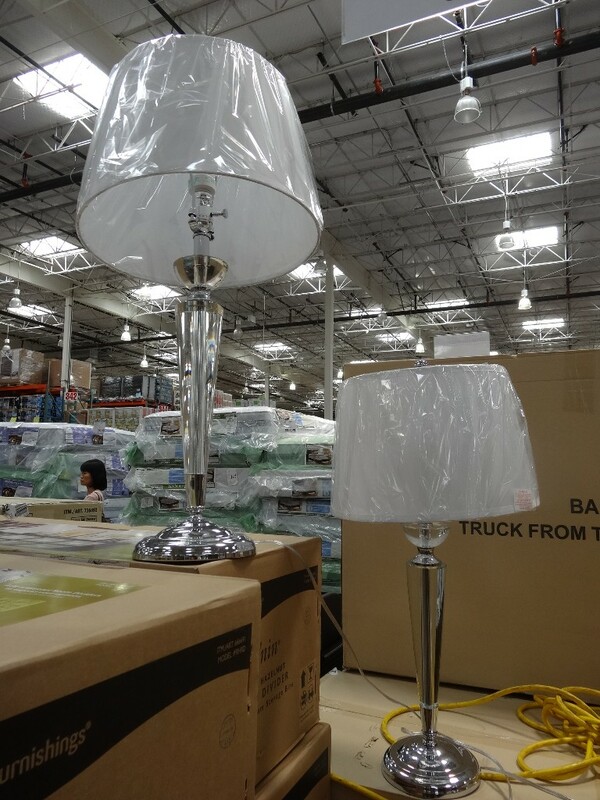 For the table lamp, the height is adjustable from 30″ to 46″ while for the floor lamp, the height is adjustable from 48.5″ to 60.5″. A neutral beige fabric shade of 16″ diameter is included. 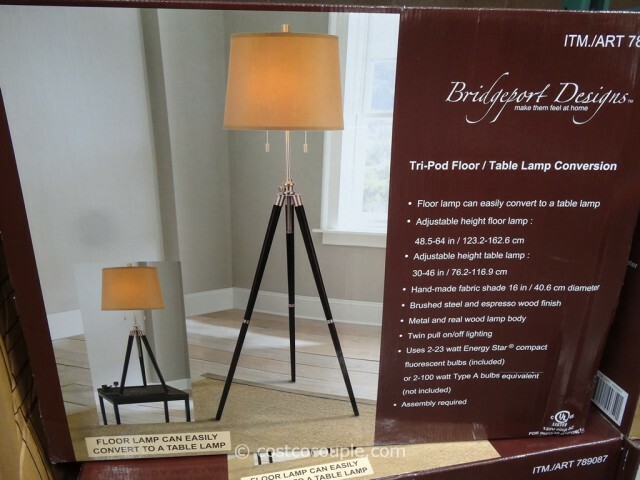 The Bridgeport Designs Tripod Floor Table Lamp is priced at $69.99.